Larghezza di banda per supportare le principali applicazioni con la PCIe® 2.0;. SAS 9212-4i. For use in the HP DL380 G5, G6 and G7 servers. HP SAS Expander Card. 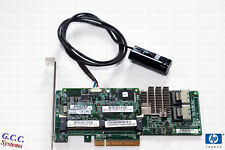 HP 24 Bay SAS Expander Card 3GB. Full & Low Profile (Beide Slotbleche inkl.). 2x Kabel Full & Low Profil. Elektrisch betriebene Geräte dürfen nicht in den Restmüll entsorgt werden! Batterien dürfen nicht in den Hausmüll gegeben werden. Raid Level : RAID 0, RAID 1, RAID 5, RAID 6, RAID 10, RAID 50, RAID 60. - Supported Devices : Disk Array (RAID). - Connectivity: SAS. Manufacturer Dell. - Channel Qty : 2. Reparto Server. Spec - Interface: PCI-E X8. HP P420 SMART ARRAY CARD. Includes full height bracket - as pictured. HP Part No: 633538-001. 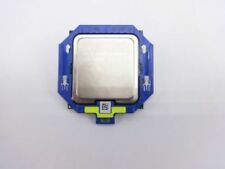 N°16SuperMicro L3-25111-00E SAS to SATA Interposer 500605b. Alles auf Lager. Alle Server getestet. BBU - D56622-305. 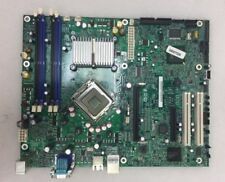 HP MSA2000 SAS I/O Modul AJ751A - 417593-001. DELL LPE11002 Dual Port 4 Gbit/s Fibre Channel HBA, PCI-E - 0KN139 / KN139. ( ) Alle Preise inkl. RAID Level: RAID 0, RAID 1, RAID 5, RAID 10, RAID 50. Supported Devices: Hard drive (HD), disk array (RAID), solid state drive (SSD). Interface: SATA 6Gb/s / SAS 12Gb/s. PowerEdge R230. PowerEdge T330. English: tested and working board, it reads fine SAS disks by PCI-E x8 slot. Interfaccia: SAS. But, 2 HP batteries in untested status (need to be tested by an electrician). Uso in: DL1000 DL120 G5, DL160 G5, DL165 G5/G5p/G6, DL170h G6, DL180 G1/G5/G6, DL185 G5, DL320 G5p, DL320s, DL360 G5/G6, DL365 G5, G6 DL370, DL380 G5/G6, DL385 G2/G5/G5p/G6, DL580 G4/G5, DL585 G2/G5/G6, DL785 G5/G6, ML310 G5p, ML330 G6, ML350 G5/G6, ML370 G5/G6, ML570 G4. Delock Dual Channel 2x2 FireWire A interface cards/adapter. DeLOCK Dual Channel 2x2 FireWire A. Host interface: PCIe. Prodotti 100% originali, nuovi di zecca - eeemarket non vende prodotti usati o contraffatti - MAI! What is pictured is generally what you will receive. While we endeavour to use pictures of the actual item, this is not always possible when we have more than one for sale. Laptop Components. Printers, Scanners and Copiers. DeLOCK 89655. Host interface: PCIe, Output interface: USB 2.0. Country of origin: China. Delock interface cards/adapter Internal USB 2.0. Prodotti 100% originali, nuovi di zecca - eeemarket non vende prodotti usati o contraffatti - MAI! Width: 25 mm, Depth: 145 mm, Height: 18 mm. This Delock converter enables the connection of an M.2 SSD in 22110, 2280, 2260 and 2242 format. The converter can be installed into the system through U.2 SFF-8643 interface. 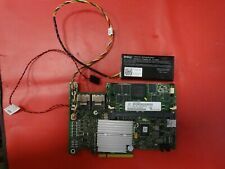 NUOVO 405-AADY PERC H830A DELL Raid Controller. La condizione Nuovo. Spedito con Posta 1 extra standard. 2 GB FBWC Cache P/N 729635-001, 698547-001, 726815-002 low profile. 2 GB Flash Backed Write Cache. HP ProLiant DL160 Gen8. HP ProLiant DL360e Gen8. HP ProLiant DL360p Gen8. HP ProLiant DL380e Gen8. HP ProLiant DL380p Gen8. Manufacturer LSI Logic. RAID Level JBOD, RAID 0, RAID 1, RAID 10, RAID 5, RAID 50, RAID 6. Supported Devices disk array (RAID), hard drive. 0 - 1 - 5 - 10 - JBOD. Prodotti 100% originali, nuovi di zecca - eeemarket non vende prodotti usati o contraffatti - MAI! Descrizioni precise dei prodotti. PERCHE' NOI / WHY EEEMARKET. RAID levels 0, 1, 1E, 5, 5EE, 6, 10, 50, 60 and JBOD. • RAID levels 0, 1, 1E, 5, 5EE, 6, 10, 50, 60 and JBOD. 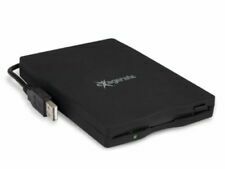 Adaptec Raid Sas/Sata per HD ed SSD in perfette condizioni con 512 Mb Cache comprensivo di 2 cavi mSASx4-4SATA x1-SB (2272300-R), 0.7m. RAID levels: 0, 1, 5, 10, Data transfer rate: 12 Gbit/s, Compatible products: ProLiant DL360 Gen9 ProLiant DL380 Gen9 ProLiant DL180 Gen9 ProLiant DL160 Gen9 ProLiant ML350. Width: 53.8 mm, Depth: 175.2 mm, Height: 22.8 mm. E' necessario il codice fiscale o la partita IVA per acquistare?. Chi siamo Contatti. DeLOCK 89961. Host interface: PCIe, Output interface: M.2, PCIe Card form factor: Full-height. Delock interface cards/adapter Internal M.2. Up to two M.2 SSDs in format 2280, 2260, 2242 and 2230 can be connected. LSI SAS 2108 RAID on Chip (ROC) and LSI SAS 2x36 Expander. Key RAID Data Protection. • RAID levels 0, 1, 5, and 6. • RAID spans 10, 50 and 60. • Online RAID Level Migration (RLM). Twenty-four port internal / Four-port external SATA SAS solution for internal drive storage and external JBOD expansion using. Aggiornate il vostro PC con tre ulteriori porte IEEE1394! 2x porte esterne ed 1x porta interna 1394 IEEE, 6-pin. · 1x porte esterne ed 1x porta interna 1394 IEEE, 6-pin. IBAN:IT 77 I 0103039840 000001605104. RAID Ctrl U320. Raid 0, 1, 5, 10, 50. 8 porte esterne 12Gb/s per dispositivi SATA 6Gb/s e SAS 12Gb/s. 8 esternal ports 12Gb/s for SATA 6Gb/s and SAS 12Gb/s devices. The bundle includes both a full-height bracket and a low-profile bracket for 1U/2U rack-mounted server. Livelli RAID - 0, 1, 5, 10. Creato con il software gestionale Ready Pro. Paderno Dugnano (MI) 20037. ET DEBUG soluzioni Informatiche. Le specifiche tecniche possono cambiare senza preavviso. Peso dell'imballo 320 g.
Nuovo ancora nella sua confezione sigillata. RAID level 0, 1, 1E, 3, 5, 6 (if RAID 6 engine supported) and JBOD. One SODIMM socket with default 256MB of DDR333 SDRAM with ECC protection, Upgrade to 1GB. An ECC or non-ECC SDRAM module using X8 or X16 chip organization (12/16/24-port). Per USB 2.0 e USB 1.1, fino a 480 Mbit/sec. 4 porte downstream USB. 4 LED porta hub USB. 1 connettore DB25 in parallelo. DeLOCK 91748. Prodotti 100% originali, nuovi di zecca - eeemarket non vende prodotti usati o contraffatti - MAI! Descrizioni precise dei prodotti. Codice Prodotto eeemarket: R-LZFPUVJ0. PERCHE' NOI / WHY EEEMARKET. DeLOCK 89270. Host interface: PCIe, Output interface: SATA. RAID levels: 0, 1. Delock interface cards/adapter SATA. Prodotti 100% originali, nuovi di zecca - eeemarket non vende prodotti usati o contraffatti - MAI! Samsung - MZ7KM480HMHQ-00005 - SM863a MZ7KM480HMHQ - 480 GB SSD - intern - 2.5"